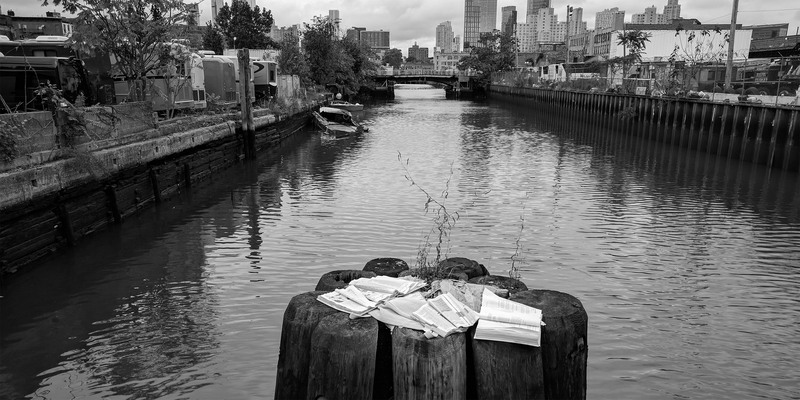 The Municipal Art Society of New York (MAS) believes that several historic buildings in the Gowanus neighborhood of Brooklyn are eligible for individual landmark designation. Many of these properties retain their historic industrial character, and contribute to the importance of the cultural and economic history of Brooklyn and New York City. The Gowanus Canal. Photo: Wikimedia Commons, Anahita Rouzbeh. When the Department of City Planning first announced in 2008 that Gowanus would be rezoned, MAS expressed concern that the plan did not do enough to support existing manufacturing businesses and promote new job growth. Furthermore, the proposal incentivized medium- to high- density residential buildings along the northern portion of the Canal, in an area that lies in a flood plain, and has historical environmental contamination and unabated Combined Sewage Overflows (CSO). Additionally, we asserted that preservation of the built fabric had the potential not only to maintain the historic character, but to help protect industry and affordable housing. In 2009, MAS advocated for the nomination of the Gowanus Canal as a National Register historic district, along with several adjoining buildings and structures (provided below). MAS also recommended that the Landmarks Preservation Commission consider designating the canal as a scenic landmark. The canal’s historic industrial landscape includes elements ranging from industrial buildings situated along the canal and the bridges crossing the canal to the sometimes-overlooked elements like the canal itself and its shape, bulkheads, basins, and edges. We are grateful to the Landmarks Preservation Commission for taking action designating the Coignet Stone building in 2012. However, many of the buildings that we identified as significant remain unprotected. We urge LPC to consider the designation of these important buildings, representing the historic industrial character of Gowanus.